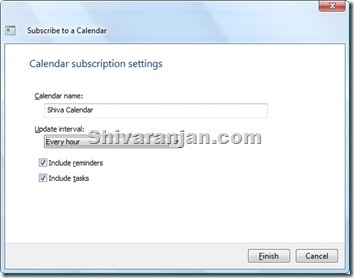 Windows Vista comes with built in calendar application which you can use to keep track of events and appointments. So if you are using Google calendar application then you can view it Windows Vista’s calendar. Let us discuss how to do this. 2. 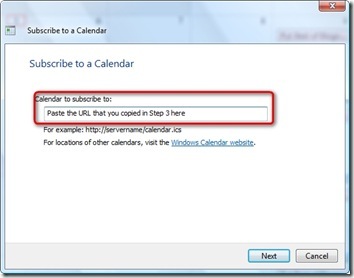 Now click on the calendar that you wish to see in Windows calendar. In the bottom of the screen you should see a menu called “Private Address”, click on the button called “ICAL”. 5. 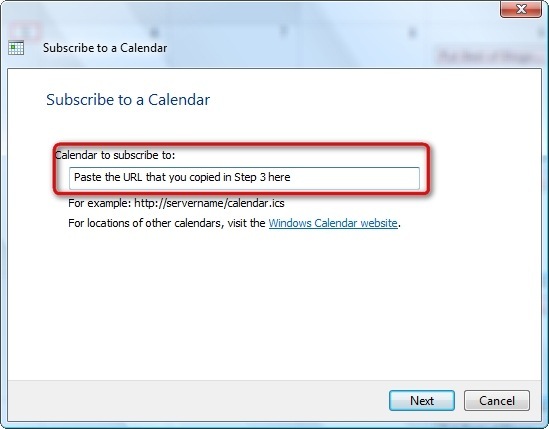 Paste the URL that you noted down in Step 3 in the window that is presented to you. 6. Now give a name to your calendar, select the update frequency and choose whether you would like to include reminders & task. 7. That’s it now you should be able to see the Google calendar in Windows calendar application. Let me know if you have any queries, I will be glad to answer those. Got a question then use the contact form. Ѵery descriptivе post, Ӏ enjoyed that bit. Will there be a part 2?